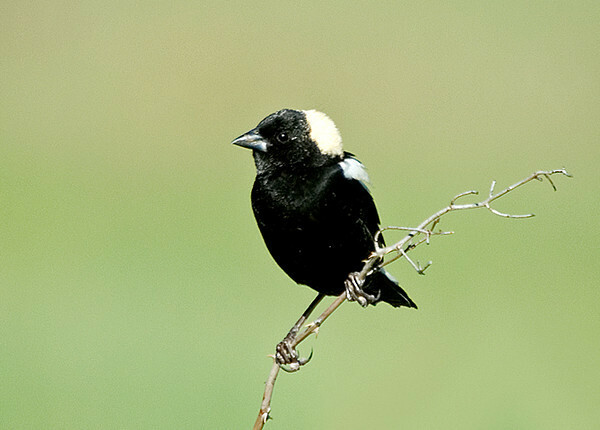 This male Bobolink just showed up today. I saw him while driving to the store, so I went back with my camera later. He was perched on a bush between a huge field and the road calling for a mate.